This is sorta Media Madness Monday but it's not Monday. Since I'm not doing a lot of reading, I am doing a lot of other things. Including watching Netflix. Grace and Frankie is a series I've been watching the last couple of weeks. The title characters' husbands have been having a twenty year affair and just announced that they plan on leaving their wives to be together. Both women are shocked, to say the least. As they watch the lives they've built crumble around them, they realize that no one else can understand what they're going through except each other. Despite their differences, Frankie is a hippie artist and Grace a retired business woman, they form a friendship. The men find that happily-ever-after isn't as easy as they thought it would be. They still have ties to their ex-wives: children, grandchildren, and affection for the women they did love at one time. Getting disentangled from their past is complicated and messy. The cast of Grace and Frankie is top notch. Jane Fonda (Grace) and Lily Tomlin (Frankie) have great chemistry. I forgot they were in 9 to 5 together. (Maybe Dolly Parton can have a cameo!) Martin Sheen and Sam Waterston play the ex-husbands. There are guest appearances by Ernie Hudson, Sam Elliot, and Craig T Nelson. The writing is great. The characters aren't one dimensional. They all have anxieties, fears, and dreams. The women are given love interests and aren't shuffled off to the pasture. Their children are a big part of their lives, but not the only part. What I like about Grace and Frankie is that it's something different, but still familiar. It's a sitcom, with the situation being great life changes in these characters' "golden years." They don't have to be in their 20s to have an interesting story. It's about relationships, family, sexuality and aging. No one is a bad guy. They are all just people trying to do the best they can. Give it a try, if you don't mind lots of swearing and pot smoking. 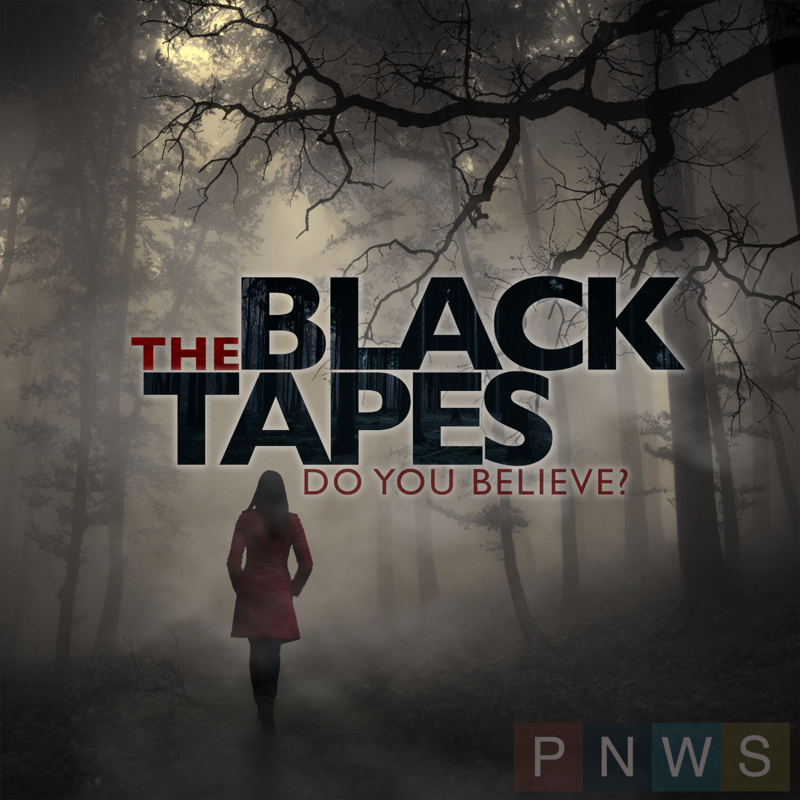 The Black Tapes Podcast is a podcast I recently came across. It's a pseudo-serial type show. It follows that investigative journalism podcast formula, only this investigation is fictional. Alex, the journalist, investigates the creator of the Strand Institute, Dr Richard Strand, a skeptic whose life work is to debunk claims of the paranormal. He offers a one million reward to anyone who can prove existence of the supernatural. Strand has a wall full of white tape cases, each one an investigated and debunked claim. On another smaller shelf, is a collection of black tapes. These cases are "as yet unsolved." Alex convinces Strand to let her investigate these black tapes. As the series progresses, Alex starts to see a connection in all these cases and discovers secrets in Strand's past. 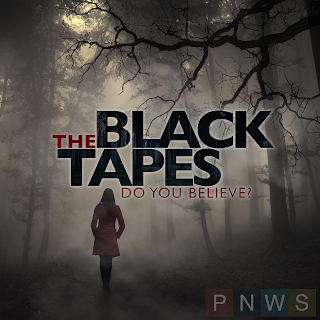 The Black Tapes Podcast is for people who like The X-Files or Millennium. There is a apocalyptic theme to the series, with people trying to begin the end of the world. It's fun, but don't listen to it after dark! What have you been watching/listening to? A friend of mine keeps telling me I need to watch Grace and Frankie. My daughter and I are both big fans of Grace & Frankie! Love that show. I have Grace & Frankie in my queue. I love Tomlin. Think I need to add Grace and Frankie. 20s are so boring. ;) No...but really. Life was so ridiculously simple back then! 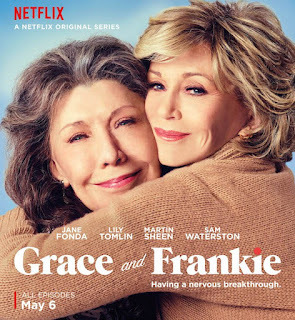 I have heard good things about Grace and Frankie. I really need to check it out!